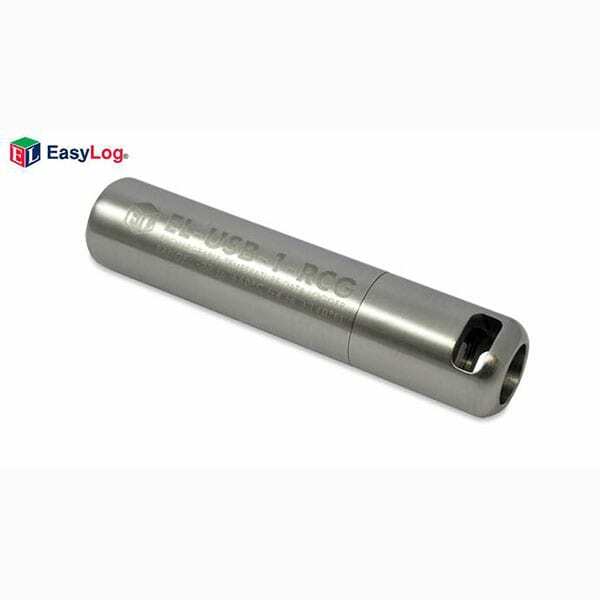 The Lascar EL-USB-1-RCG USB Temperature Data Logger is a standalone data logger that measures and stores up to 32,510 temperature readings over a -20°C to +60°C (-4 to +140°F) measurement range. The polycarbonate window and stainless steel 316 assembly provide protection from corrosion, impact and water ingress to IP67 / NEMA 4X. The unit is powered by a lithium-ion recharable battery which allows logging for up to 1 month. Setup and downloading is completed by connecting the data logger to a PC’s USB port using the supplied cable and running the purpose designed software under Windows 2000, XP, Vista and Windows 7 (not Mac compatible). Correct functioning of the unit is indicated by flashing red and green LEDs. Downloaded data can then be graphed, printed and exported to other applications.